It’s been a part of every NEO season, but for the first time in season five, the HPD-ARX 01c prototype is not the car in the top class. With some HPD teams moving on and others moving up to the P1s, the fight for a prototype title is on among the P2 teams on the entry list. You only need to look at the results sheet of the tumultuous pre-qualifying race to find the leading contenders for the P2 title. In that two-hour session, the top six teams all showed signs of the speed and endurance needed contend for race wins and the season-long championship. Most of that race — as well as the best average time in PQ1 — belonged to Race Clutch, although they slipped to fourth in the final results after running out of fuel on the last lap. Despite that sputter, Yohann Harth and Aurélien Talmon both looked strong in pre-qualifying. They’re joined by fellow NEO rookie Robin Bondon this season. Torque Freak Racing may have been the lucky benefactor of Race Clutch’s PQ2 miscalculation, but they didn’t get to the front of the field by accident. Dirk van Tulden had a strong start and Ronny Nunez made a flying finish in the TFR HPD. That duo will head a six-driver effort in the #48 car. 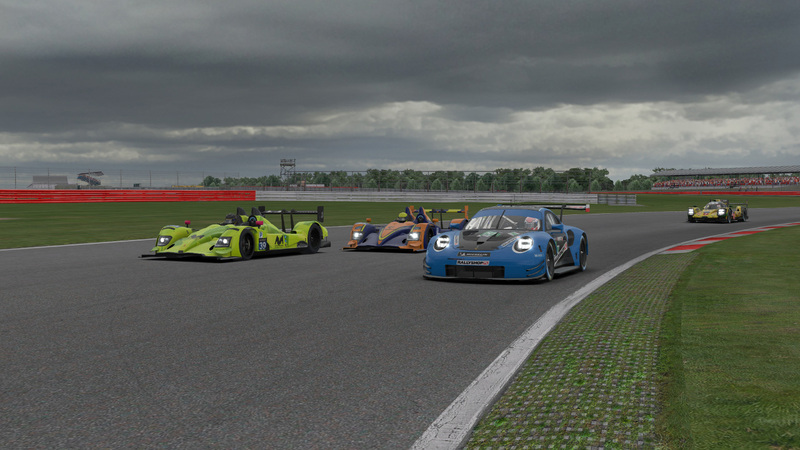 Just behind them at the checkered flag of PQ2 was AVA Vervatic, which is fielding teams in both prototype classes. The German team led by Austrian driver Pascal Stix should challenge for podium finishes and potentially race wins all season. AVA Vervatic and Torque Freak Racing battle for position in pre-qualifying. 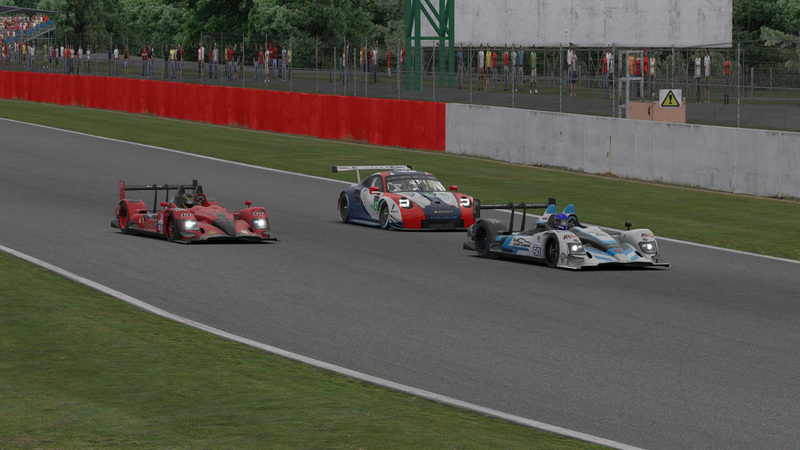 Re-joining the NEO fold for the first time since season one is Apex Racing UK. They’ll hope that several years away from the series has erased the bad luck their CSpec team faced in their last championship bid. In the time being, they’ve bolstered their lineup with the likes of F1 talents Alex Simpson and Jamie Fluke, who will both be behind the wheel of the #60 HPD. Speaking of turning their luck around, Team Heusinkveld won’t want to see GT cars spinning in their path this season like they did during the pre-qualifying race. That close call cost the team third place and dropped them to sixth at the finish, but some expert driving by Gunnar Miesen helped them avoid an even worse result. Any sim racing veterans know not to count out TNT Racing, and they’re set to bring a portion of their open-wheeled and prototype prowess to NEO in the #34 HPD. Former World Championship Series driver Benjamin Lindsay paced TNT in both rounds of pre-qualifying, including their third-place ranking in PQ1. 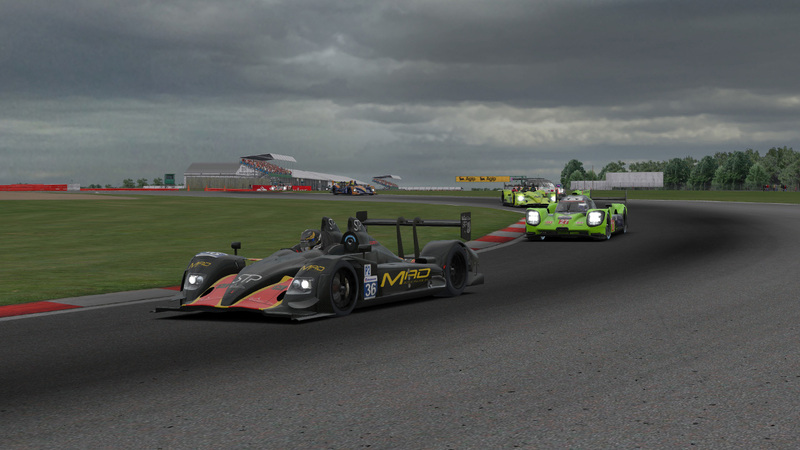 Apex Racing UK leads TNT Racing through traffic. Another well-placed team in PQ1 was the World of SimRacing Team, which represents the Spanish World of SimRacing magazine. In their first NEO season, a solid goal for them would be replicating their fourth-place effort in the first round of pre-qualifying. On the flip side of that coin, UI1-Positive SimRacing’s HPD team underperformed in pre-qualifying, placing ninth in round 1 and tenth in round 2. 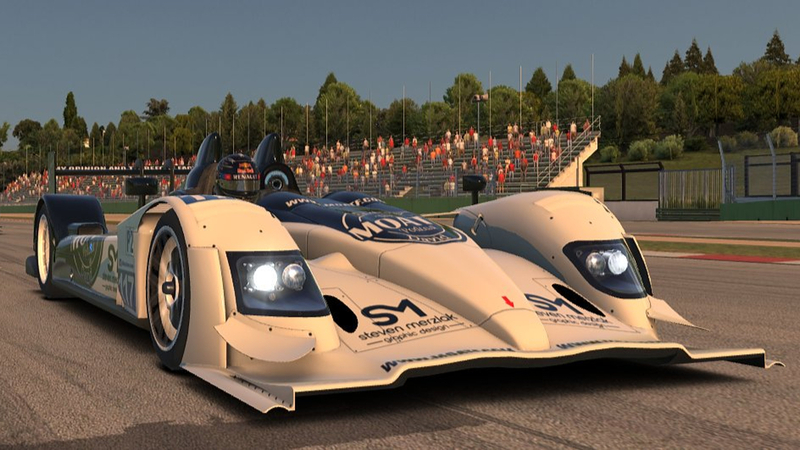 With a talented lineup including Javi Utreras, one of Positive SimRacing’s original development drivers, they’ll look to find some extra speed once the Sebring race arrives. While the LuxSim24 MOATF Podcast team is new to full-season NEO competition, they have plenty of HPD experience in their lineup, including Neil M. Andrews and John Goodwin, and a proven history in endurance races after winning their DGFX class championship. The official team of the MOATF Podcast plans to give plenty for David-Lee Patterson and Andrew Botterill to talk about all season. The LuxSim24 MOATF Podcast team is ready for its close-up this season. Another official team — the sim racing squad for Schubert Motorsport — has qualified for its first NEO season with an eighth-place result in PQ2. The dynamic duo of Lennart and Moritz Fricke are joined by fellow German driver Tim Stebani in the #33 HPD for season five. It’s certainly not the first NEO outing for SRN Motorsports, which has been involved in the endurance series since its start. However, this is the first time SRN has entered a prototype team. After a frustrating season four in the Ford GT that included several early-race accidents, the four-man lineup led by Dan Graulty and Mike Young has moved up to the P2 class. 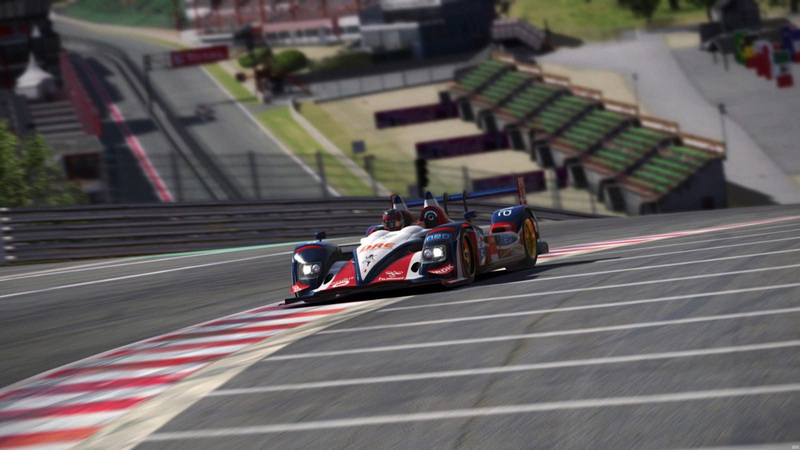 One other veteran NEO team hoping for a better result in their sophomore season driving the HPD is IRDK Endurance. Last year, they placed a disappointing eleventh in the standings. Perennial pace-setters Marcello Maio and Egil Sandfeld will expect to deliver a better result this time around. IRDK Endurance hope for improved performance in their second season driving the HPD. Five NEO newcomers round out the P2 grid. The strongest contender among them could be Inertia SimRacing, which placed seventh in PQ1 but dropped to 13th in PQ2 without Ossian Puhakka in the lineup. His presence in the all-Finnish HPD could be their key to success this season. 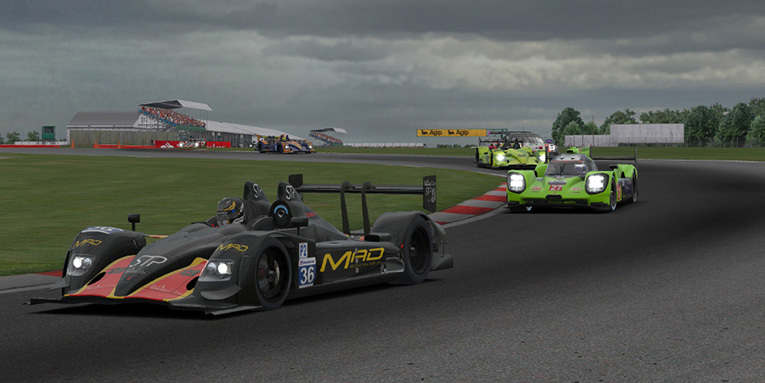 Team MAD ran a quiet PQ2 race en route to an eleventh-place finish. Diogo B. Melro reeled off some quick laps late in the race, and they’ll need to continue building speed to exceed expectations. Just behind them at the checkered flag were the Roadbasterds of Ronald Gross and Sven Riedel. For Gross and teammate Jan-Philippe Wied, their last NEO experience came way back in season two, then on separate teams. They’ll need to shake off the rust as they join forces for season five. Team MAD makes its NEO debut in season five. The RacingCenter-Vib3sports team placed last in PQ1, but when teams ahead of them couldn’t make it to PQ2, they received an invite and converted it to an entry in the new NEO season. They won’t be content to simply be on the grid, though, and behind their quickest driver Steven Freiburghaus, they’ll look to find more speed and move up the order all season. Last but not least is iRacing Today Motorsports, which made the NEO grid in their second season attempting to qualify an HPD. Dean Moll has driven in several NEO classes but was previously in a prototype in season two, while Mark Schindel was in the ACME Racing HPD last season. They’ll look to convert that experience into some solid results. Without a clear championship favorite, the door is wide open for P2 teams to make their mark this season. If pre-qualifying is any indication, the racing should be exciting and anything but predictable as the HPDs negotiate the tricky middle-class position of both passing and being passed.